Home School Class - Seed Bombs and Butterfly Boxes - Land O' Lakes Area Artisans, Inc.
Support your pollinators with Seed Bombs & Butterfly Boxes! Join Special Guest Denise Fauntleroy, Educator & ISCCW – Invasive Species Control Coalition of Watersmeet – Specialist and create seed bombs and butterfly boxes! Students spring time planting and butterfly gardens. 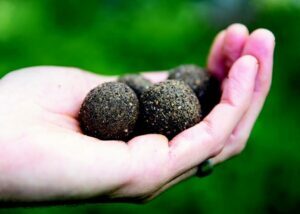 We will get dirty to make seed “bombs” – dirt balls filled with butterfly friendly, plant seeds. Students will also create a cozy, artful home for our fluttery friends.